Beware the Impacts of the New "CoreScore" Credit Report | The Law Office of Emil Fleysher, P.A. Beware the Impacts of the New “CoreScore” Credit Report | The Law Office of Emil Fleysher, P.A. 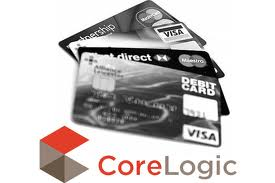 CoreScore is a new type of credit report developed by a data company called CoreLogic. CoreScore looks at financial records such as credit card borrowing, bank transactions, and mortgage information, much like a traditional credit score. The new rating also examines the kinds of transactions likely to occur at the lower end of the income scale. These include car payments, rental payments, and payday loans. It even includes records for such data as missed child support payments. CoreLogic says the new score creates an opportunity for borrowers and lenders alike, making credit available to those who have traditionally been shut out. However, the availability to creditors of this expanded borrower data opens the door for lenders to justify even higher rates for many borrowers (especially those on the lower end of the credit and income spectrum). By including additional information like payday lending, the financial picture of a potential borrower is worsened, not improved. That could potentially lead to higher rates on a myriad of transactions including car payments, car insurance, credit cards, mortgages, etc. Additionally, the information that is going to be reported may not paint an accurate picture of who the consumer is. For example, there are lots of reasons why someone might receive an eviction notice that do not necessarily have anything to do with not paying rent. Not to mention the frequency of incorrect or misapplied public records data that many consumers have no idea exists. CoreLogic maintains that consumers will be able to easily dispute any misinformation they find on the new report. Becasue of the CoreScore’s novelty, only time will tell how and if the financial and consumer advocacy communities will take to this new and more intrusive method of scoring credit. If you have questions about credit, debt, or bankruptcy, please feel free to call my office at 954-484-9987, send an e-mail to emil@fleysherlaw.com, or complete the contact form below.